Sally Cochran, author of Teaching Horseback Riding Lessons: A Practical Training Manual For Instructors, owns and operates Equine Kingdom Riding Academy in Greensboro, NC. Along with her husband Matt, she serves over 100 people each week through various opportunities – lessons, camp, boarding, leasing, parties, and more. She holds a Level 2 Certification through the American Riding Instructor’s Association (ARIA) in Recreational Riding and Hunt Seat on the Flat, and is also certified through the Professional Association of Therapeutic Horsemanship (PATH) for teaching riders with disabilities. Equine Kingdom has become one of the most popular riding instruction schools in the area in just a few short years, and Sally decided to write about her success to share with other horse professionals. Sally holds degrees in Business Administration and Global Logistics. She teaches many different styles of riding and enjoys reading, working on her farm, and writing, as well as one of her favorite pastimes, martial arts – she holds a 1st degree black belt in Tae Kwon Do and is testing for her 3rd Degree black belt in San Shin Kai in November 2013. 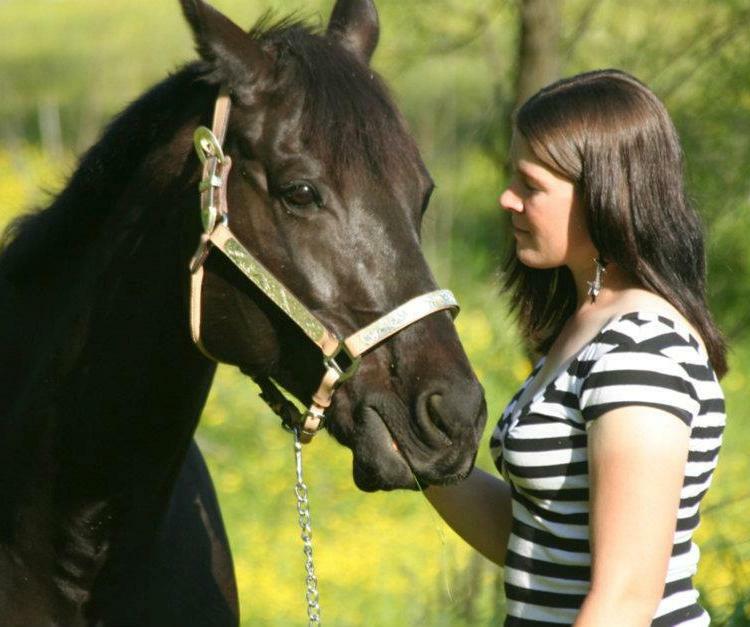 She is currently working on publishing her next book, 501 Riding Lesson Ideas, which should be out in late 2013 available for purchase, and she will be introducing many more books for the riding instruction field. Her books can be reviewed and purchased on Amazon.com and on the website at www.equinekingdom.com. Sally: Publishing my book was a decision made born out of a desire to provide the equestrian world with a great book on riding instruction – a book that fills a need for riding instructors everywhere. There are a lot of books on the market for riding lessons and instructors, but Teaching Horseback Riding Lessons is a niche all its own – it is a book for instructors that are just starting out, or those that want to break into the market of riding lessons but don’t know where to begin. Having been an instructor that had a difficult time starting out due to a lack of guidance and assistance, I wanted to publish a book that would help other instructors in ways that I never received. 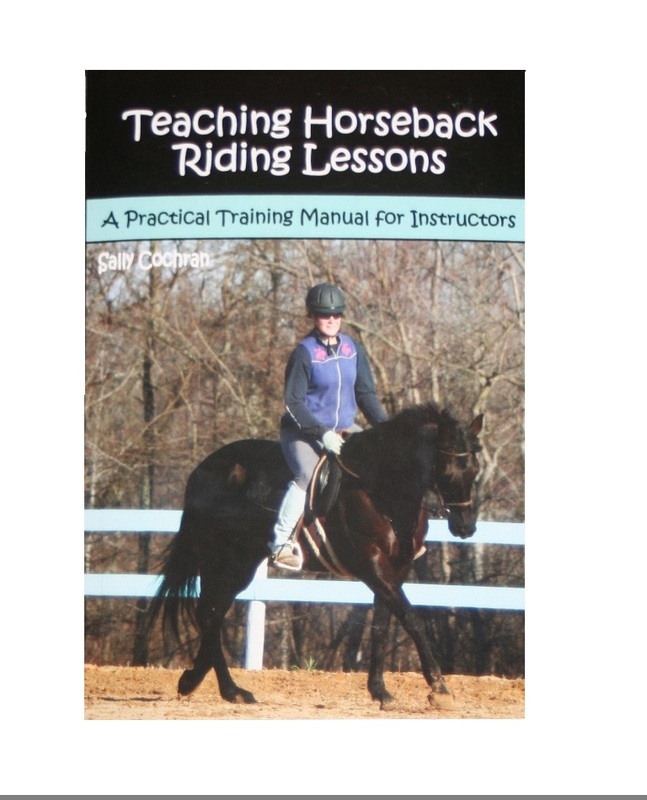 Sally: I recently published my first title, Teaching Horseback Riding Lessons: A Practical Training Manual for Instructors, in September 2012. We have two other books coming out soon – 501 Riding Lesson Ideas and 52 Weeks of Lesson Plans for Beginning Riders. Sally: My main method of marketing thus far has been through contacting farms and riding instructors with information about the book and how it can help them, as well as sending article excerpts to magazines and online publishing venues. We have advertised in several places as well. Due to working around the clock running my business teaching riding lessons to able-bodied and riders with disabilities, I have not had the time to market the book as much as I would like. Sally: My favorite resource thus far has been “The Complete Guide to Self-Publishing” by Marilyn Ross and Sue Collier. It has been wonderful, packed full of ideas for marketing, writing, and promoting your own self-published book. Sally: The biggest challenge in self publishing is marketing my book – if I don’t spend time promoting it, it doesn’t sell well. I notice a huge difference in when I actually have time to promote it, versus when I am so busy running the rest of my business that marketing falls to the wayside. Sally: Don’t let anything hold you back! If you had the inspiration and drive to write the book, then you must believe in why it’s important that the world get to have a part of it. Get it out there, do the best you can, and then BELIEVE IN IT. Believe that the world NEEDS your book, and promote it that way! !